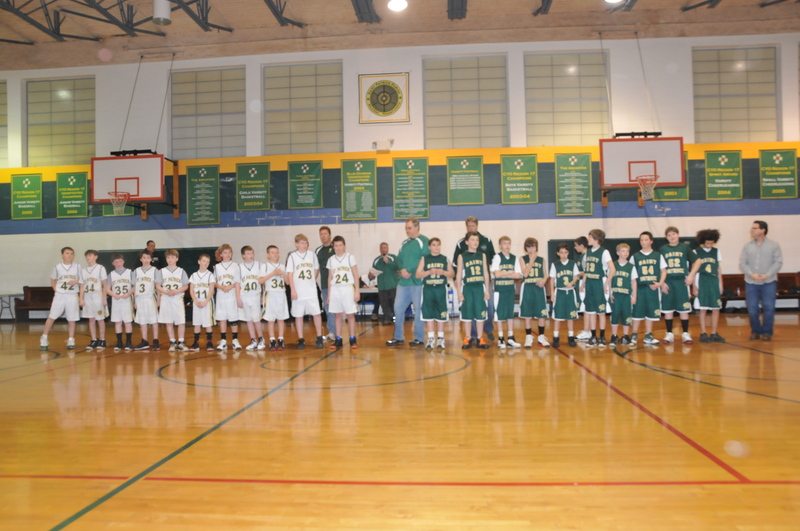 The 2011 basketball season is over and what a great year it was for St. Pat’s! Varsity A Boys and Girls, as well as JV Girls and Boys-3, are District 17 Champions! Congratulations to all of our teams! Your time and dedication to the sport and your teammates was very impressive. I attended many of the games and I was so proud and so impressed with all of our teams show of sportsmanship. I did not see anyone of our players argue or question a call. I saw players help opposing team players get up off the floor and saw sincere congratulations and support shown to the opposing team at the end of the game.Our kids played very hard, but they played like young ladies and gentlemen! Participating in sports and being part of a team can be such a positive experience for children, for the parents, for the coaches, and for our school.I want to share an excerpt from an essay written by one of our 8th graders. Hard Work, Building My Character “… Now it is basketball season and I’ve been having a great year. I am actually a lot more aggressive than I remember being. I realize it was from playing football. All the hard work from the football season has paid off. I learned three things from football and they are: teamwork, never give up, and hard work always pays off. Thanks to my coaches I have become a better person…” By John Boland Nice job, John and great job St. Pat’s Warriors!! A lot of people have asked me how Owen is doing and what he is going to do with his future. I thought I would give you a quick update. 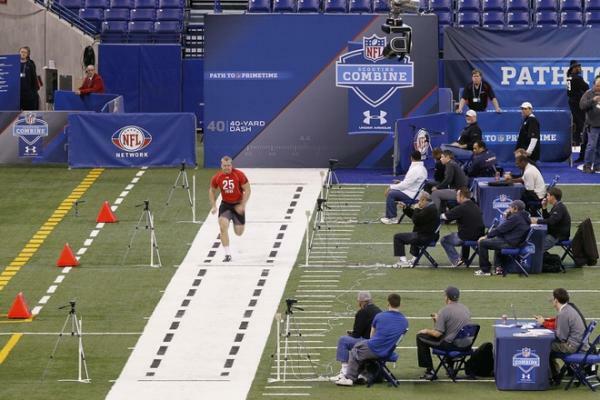 He was invited to and participated in the NFL combine this past week. He looked huge as a fullback next to the other running backs and all the drills I saw him do he did well. The announcers were high on his ability and his overall great character. He cut his long blond hair and donated it to make wigs for cancer patients. His grandmother, my aunt and godmother, died from leukemia and he wanted to do something for that cause. Owen still has aspirations to be a doctor and hopes to pursue that as well as the NFL – if anyone can do it, he can! Go Owen #48! 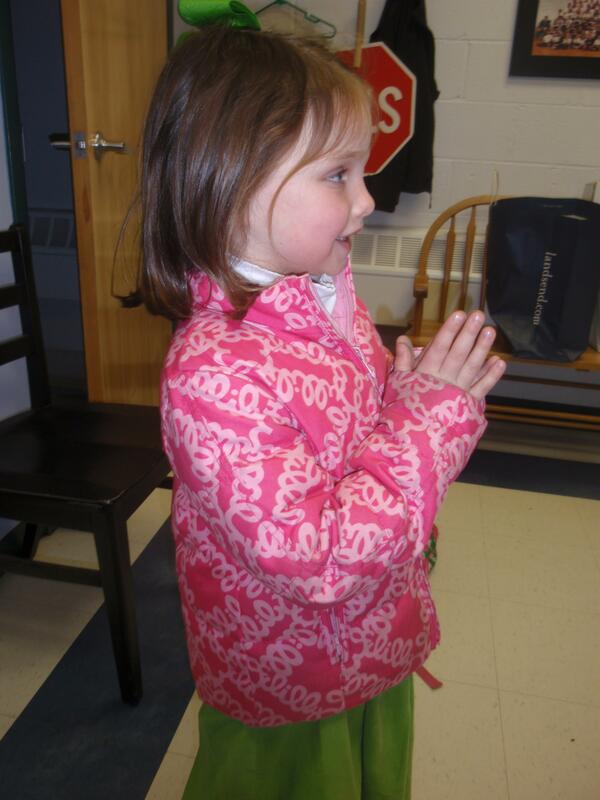 There are no words needed for this post – the picture speaks for itself and the power of a Catholic Education!